In a quiet part of town, about nine hundred meters from the beautiful beaches of Split, In a neat, fully furnished apartment, four people can find everything you need for a pleasant summer vacation or staying in town for visits to the nearby international fairs. Mails the additional property photos and information on events in the period in which you want to visit Split. No matter what the apartment is located in an urban area, the morning will wake you up chirping of birds. The birds were already domesticated in the crowns of trees planted in front of the building. 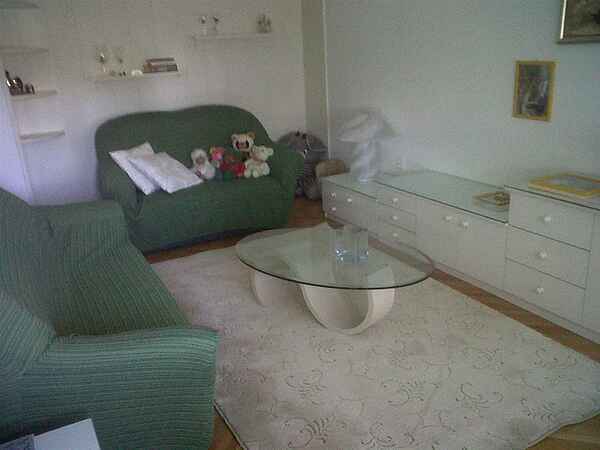 We rent an attractive apartment that is situated 1,2 km from the beaches and 1 km from the town centre. It has air condition, free internet, washing machine, dishwasher,... It has one big bed for two persons, but it also has a couch which can be a nice bed for two persons. We will gladly meet you at the bus and railway station or airport. In cooperation with our partners we can recommend and organize the best trips (to Trogir, the tour boat around the island of Solta, Hvar with Paklinski islands, caves Vranjaca, Klis fortress, Salon ...) and visits to various events (exhibitions, concerts, contests).